An art nouveau style decorative border that shows a purple butterfly resting on the stalk of a yellow-orange honeysuckle. 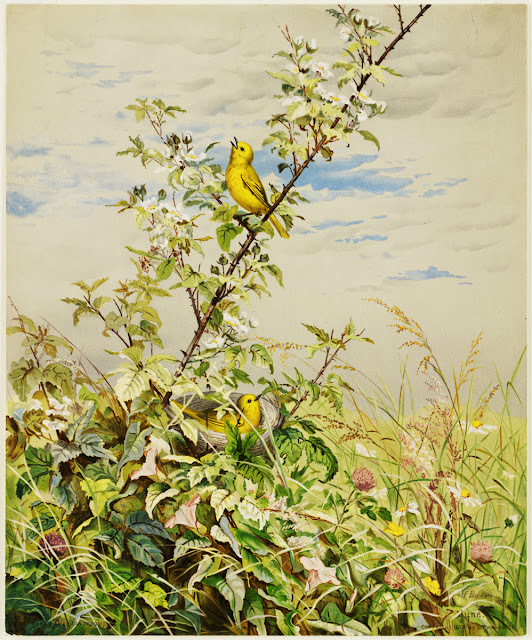 The blue stalk of the honeysuckle drops down to a ribbony scroll pooled at the bottom of the template. I think this would make a pretty background for a journal or scrapbooking page but you could also use it in a greeting card or other graphic design project. You can download the high-res 5" x 7" @ 300 ppi JPEG without a watermark here. 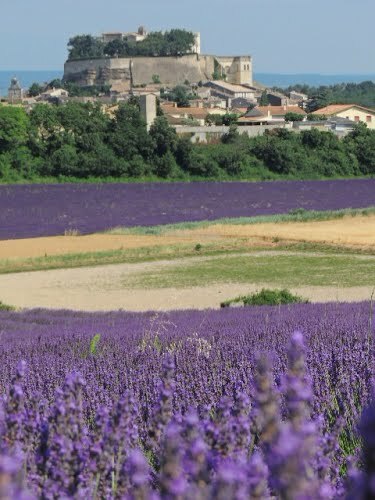 And since all this loveliness cannot be Heaven, I know in my heart it is June. you should include all things in your gratitude. 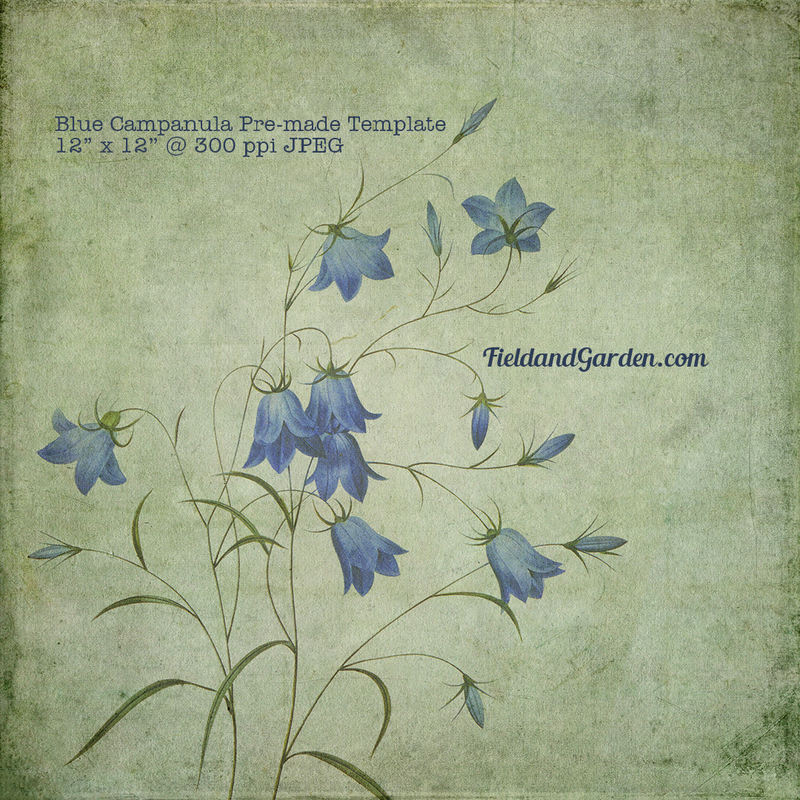 Campanulas, a popular flower in traditional cottage gardens, are often associated with gratitude. 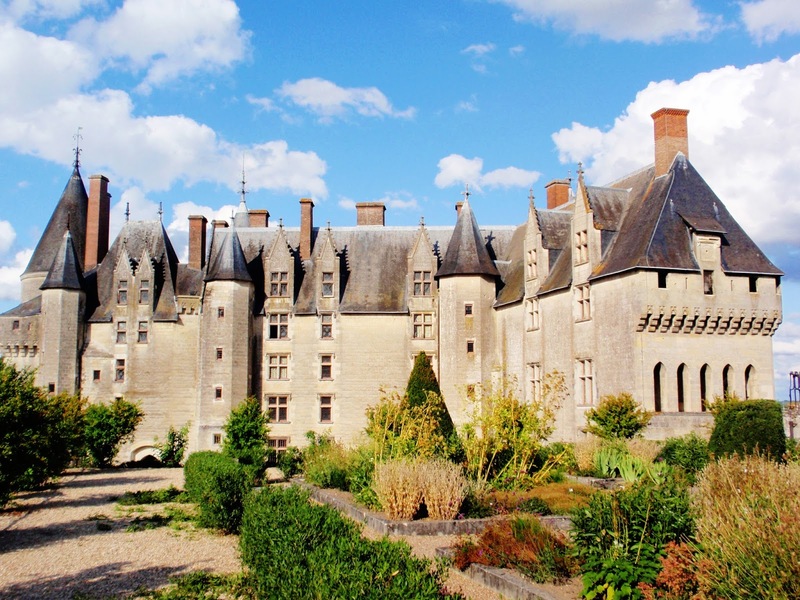 They are also given as symbols of affection, as they represent constancy and everlasting love. Here is a pre-made template that merges a botanical illustration of a blue-purple campanula with various aged textures. You can download the free high-res 12" x 12" @ 300 ppi JPEG without a watermark here. This graphic resource can be used as a background for art journaling or scrapbooking as well as in various card making and graphic design projects. As the furies after tore him apart? the resolution not to twist them to fit our own image. then we do not love them: we only love the reflection of ourselves we find in them. 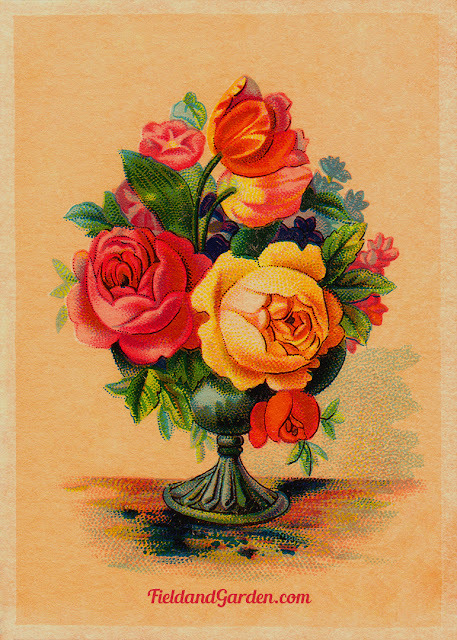 From an old Victorian trade card in my collection, here is an illustration of colourful spring (tulip) and summer (rose) flowers in an elegant, fluted vase. 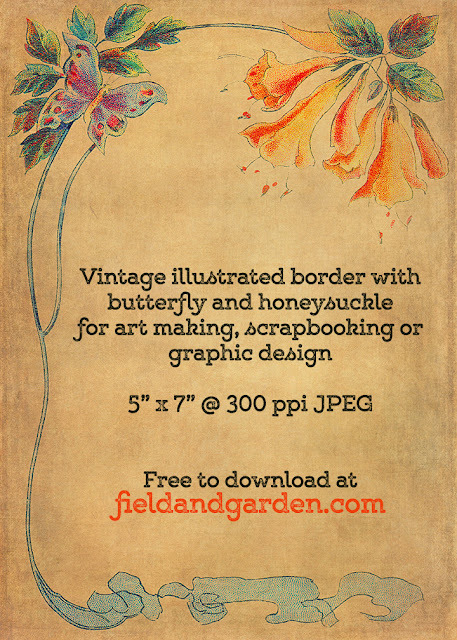 Can be used in crafts, scrapbooking, card making, bookmarks, gift tags and many other graphic design projects. To download the high-res 7.5" x 10" @ 300 ppi JPEG without a watermark, please click here. And bring happiness to you. You can download the high-res JPEG without a watermark here. All digital scans by FieldandGarden.com are licensed under a Creative Commons Attribution 4.0 International License. 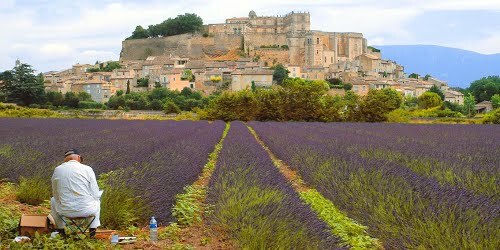 Where possible, please cite FieldandGarden.com as your source when using this work and/or provide a link back to this page. when you take the time to pay attention to them. 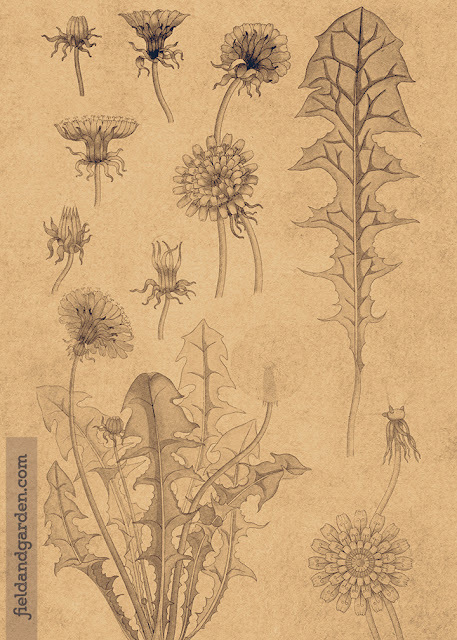 Botanical illustration of dandelion forms from a 1901 textbook on textile designing. 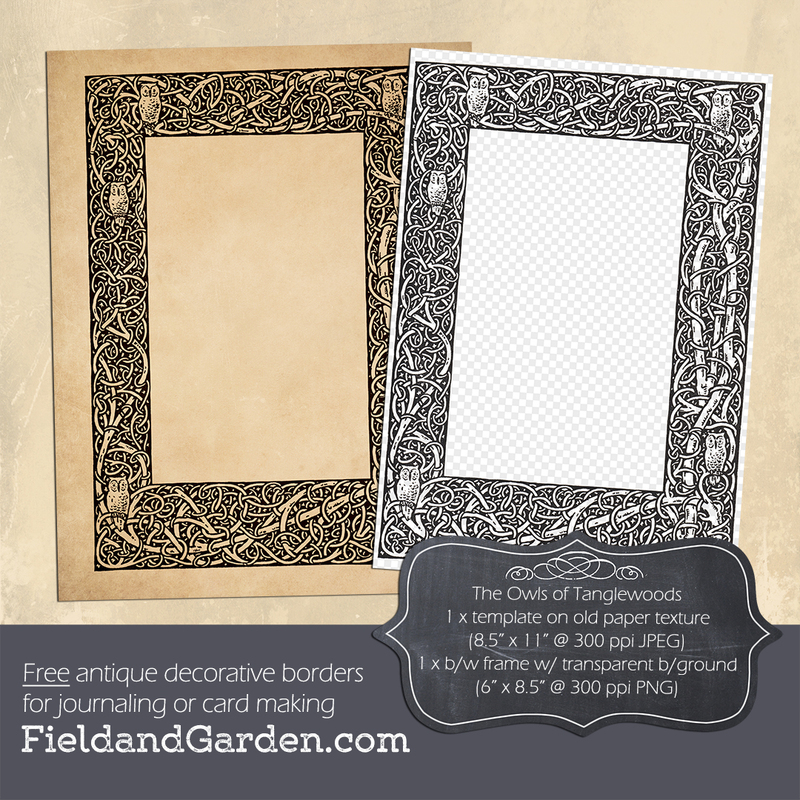 I have digitally combined it with an old paper texture for a vintage-style composition that you can print and frame for DIY wall art, use as a background in scrapbooking or as part of a graphic design project. You can download the high-res 5" x 7" @ 300 ppi JPEG without a watermark here. I think this would make a wonderful background for a journal or scrapbooking page but you could also use it in a greeting card project. You can download the high-res 12" x 12" @ 300 ppi JPEG here. 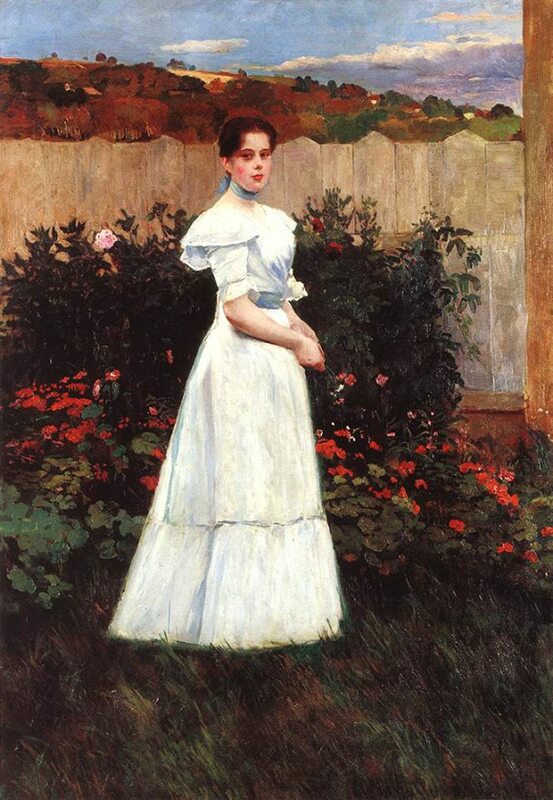 "Young Lady in a Flower Garden"
Youth is happy because it has the capacity to see beauty. Remember, you cannot be both young and wise. Young people who pretend to be wise to the ways of the world are mostly just cynics. Cynicism masquerades as wisdom, but it is the farthest thing from it. Because cynics don’t learn anything. Because cynicism is a self-imposed blindness, a rejection of the world because we are afraid it will hurt us or disappoint us. Cynics always say no. There is a certain part of all of us that lives outside of time. and most of the time we are ageless. Antique illustration of colourful hummingbirds in the rainforest by Ernst Haeckel (1834 - 1919), originally published in 1904. 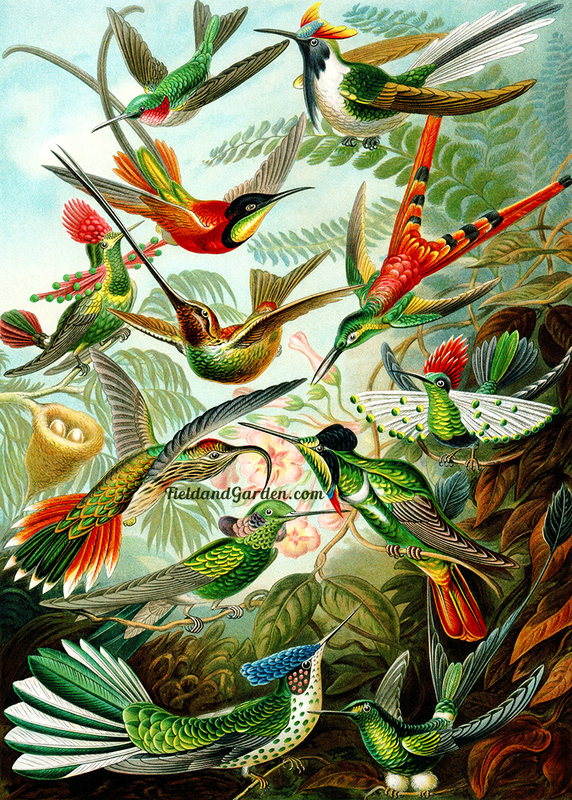 You can download the free high-res 5" x 7" @ 300 ppi JPEG without a watermark for moxed media collage, nature journals, scrapbooking, card making and other graphic design projects here. This would also make a lovely art print. Santiago Rusiñol's burgeoning success as a painter enabled him to concentrate almost completely on the subject closest to his heart, Spain's gardens and landscapes. 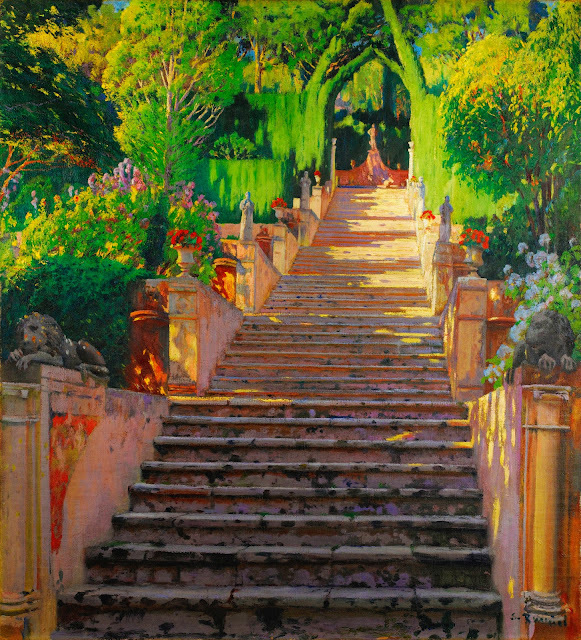 When Rusiñol travelled to Mallorca, he sojourned in the locality of Bunyola whose opulent gardens became the inspiration for works such as this. The present work depicts the upper half of the flight of stairs dedicated to Apollo in the Raixa Gardens, north of Palma de Mallarco. Originally laid out by the Moors, the Raixa Gardens were redesigned by Cardinal Antoni Despuig i Cotoner during the eighteenth century. Begun in 1902 and completed in 1907, Pedres velles is one of four pictures Rusiñol painted of the steps. The charismatic leader of Catalan Modernism, and a founder of Els Quatre Gats in Barcelona, Rusiñol travelled widely and spent extended periods in Paris. Notwithstanding his position as a leading member of the international avant-garde, however, it was in Spain that he was able to explore the full range of his resonant palette and where many of his most powerful and evocative works were completed. 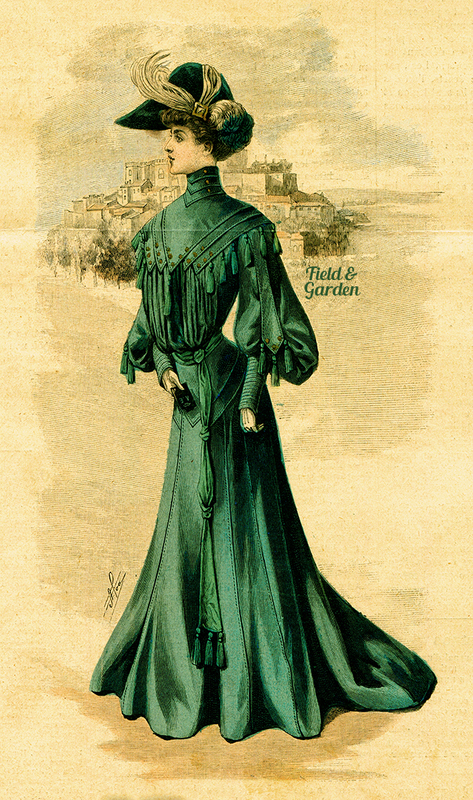 An art nouveau style illustration from a vintage postcard dated December 27, 1916 in my personal collection. I love the depiction of the sundial and hollyhocks underneath a shady tree. It is such a quintessential cottage garden scene. I think this would make a really pretty greeting or invitation card but you could also use it as a background for journaling or scrapbooking. You can download the high-res 7" x 10" @ 300 ppi JPEG without any words here. Two cards with illustrations that show a lady's hand extending flowers (the first is offering a clutch of pansies, the second a posy of daisies) to the recipient. 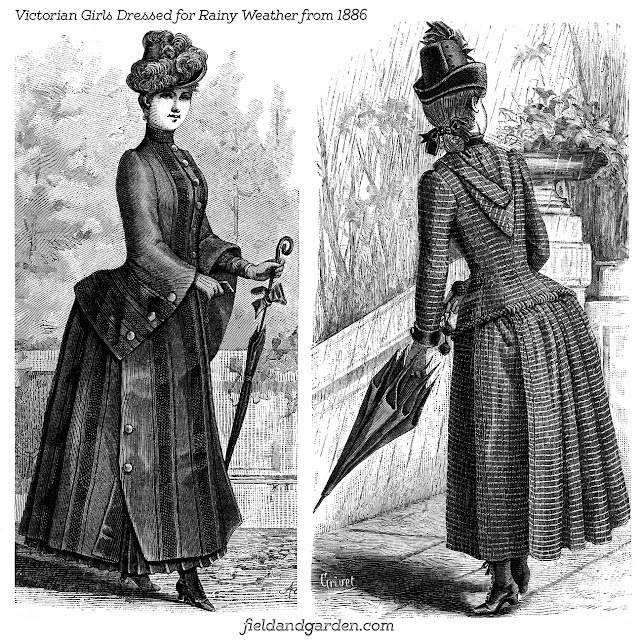 These were originally used as personal calling cards in Victorian times but you can use them as gift tags, as greeting cards to reach out to someone in love and friendship or as embellishments in journaling and scrapbooking projects. You can download the high-res 4" x 6" @ 300 ppi JPEGs without watermarks here and here. or watching the clouds float across the sky, is by no means a waste of time. 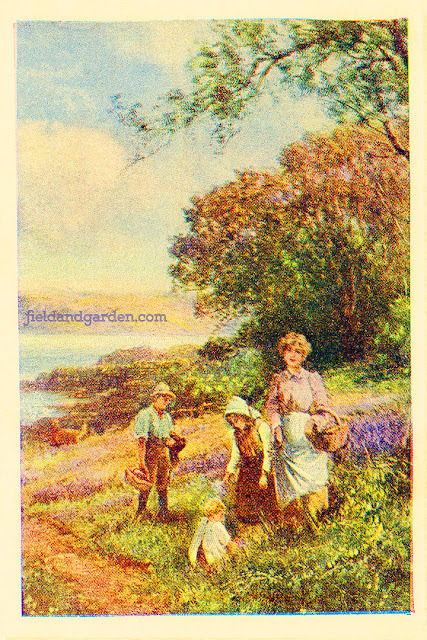 A vintage scenic postcard postmarked May 11, 1911 that shows a family picking wildflowers in a meadow by the sea on a sunny summer day. 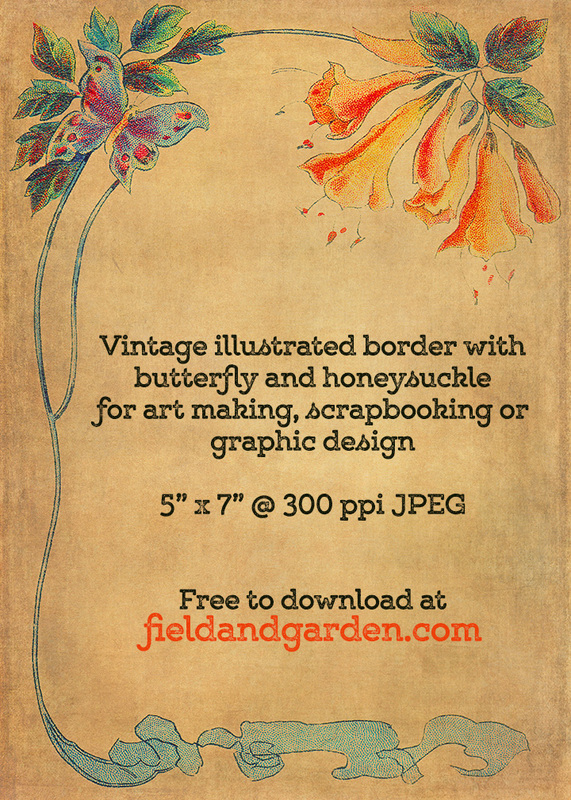 You can download the 4" x 6" @ 300 ppi JPEG without a watermark for crafts, collage, scrapbooking or other graphic design projects here. 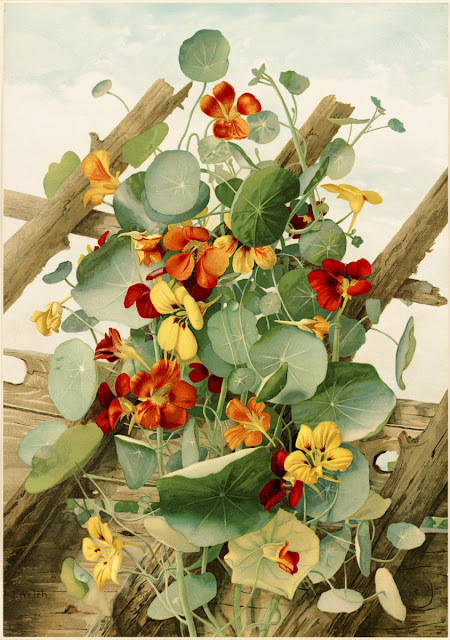 A gorgeously illustrated floral border from a Victorian magazine published on April 21, 1883. The drawing shows a profusion of blooming flowers (fuchsias, primroses, morning glories) around an opening in an ancient brick wall, probably in an old-fashioned English garden! I combined the original illustration with an old paper texture to create a template that can be used in vintage or Victorian-themed projects.You can download the high-res 8.5" x 11" @ 300 ppi JPEG here. An elegant Edwardian lady visiting Château de Grignan in February 1904. 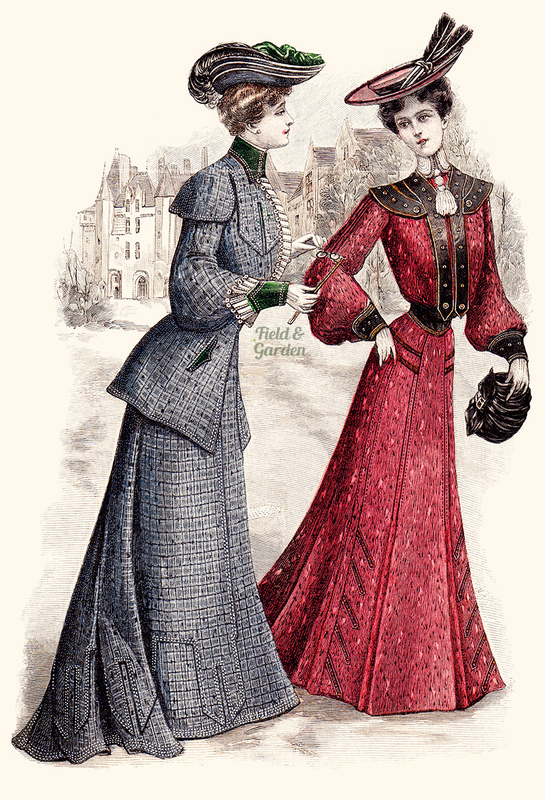 Two Edwardian ladies strolling the grounds of Château de Langeais in January 1904. Exterior and formal garden surrounding Château de Langeais, France - image source here. Close-up of the castle facade and its grounds - image source here. 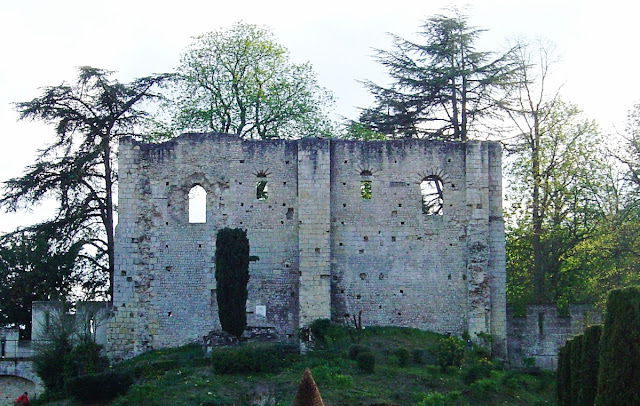 A ruined 10th century keep on the grounds of Château de Langeais, France - image source here. 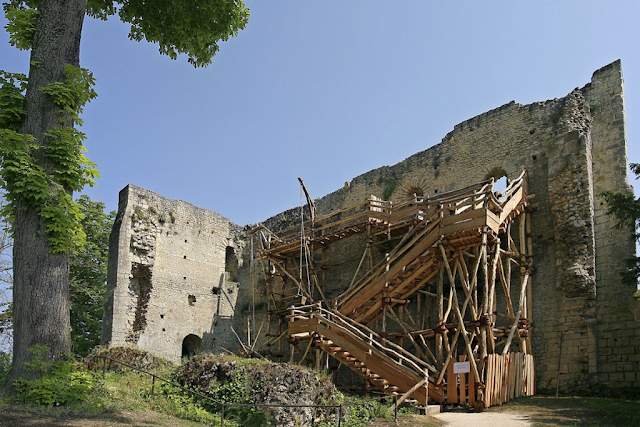 Scaffolding and lifting machines faithfully reconstituted behind the keep show the construction methods of builders in the year 1000. 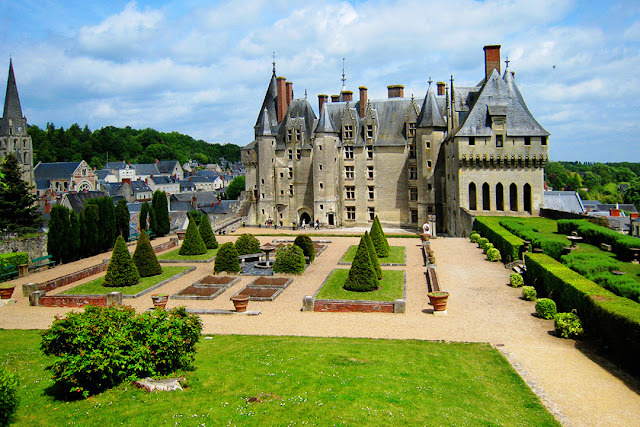 From the top of the scaffolding you can see the medieval inspired gardens - image and description source here. 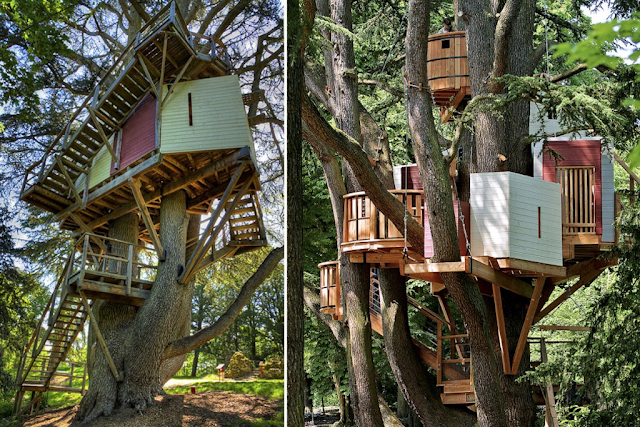 A 6-storey treehouse built in a majestic cedar several centuries old. The treehouse offers unobstructed views over the park and the ruins of the 11th century chapel - image and description source here. 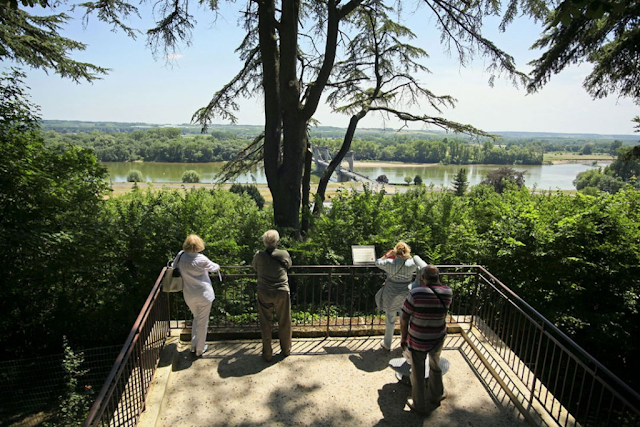 The promenade, between cedars and sequoias, ends up at the belvedere with a telescope over the Loire, a cultural landscape today listed as world heritage by UNESCO - image and description source here. A wonderfully drawn frame from a 1909 design book that shows a parliament of owls perched in the tangled branches of an ancient forest. Great as a background for art journaling, scrapbooking or card making (invitation card for a kid's birthday party, perhaps?) 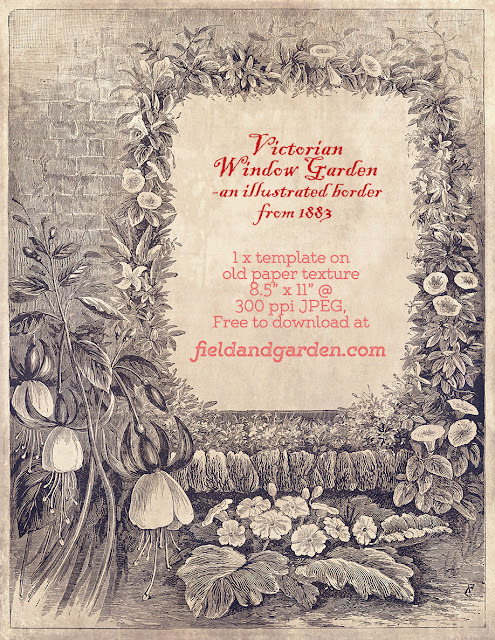 projects with vintage or nature themes. 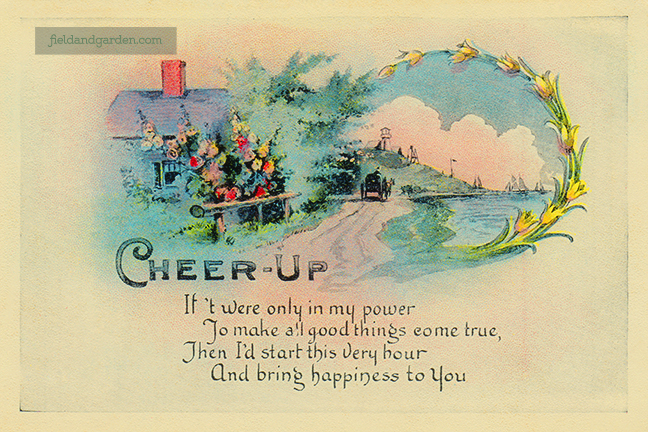 * pre-made invitation template on old paper texture as an 8.5" x 11" @ 300 ppi JPEG here. * black and white frame on a transparent background as a 6.5" x 8.5" @ 300 ppi .PNG file here. Add your own words by opening up the file in Photoshop or importing into Microsoft Word. 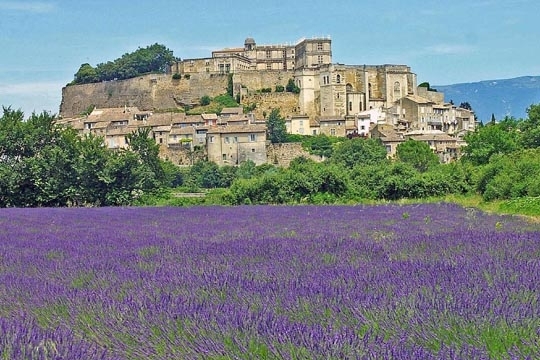 I recommend printing on high-quality heavyweight cardstock or hot-pressed watercolour paper.. He knew one of the women well, and had shared his universe with her. They had seen the same mountains, and the same trees, although each of them had seem them differently. She knew his weaknesses, his moments of hatred, of despair. Yet she was there at his side. They shared the same universe. 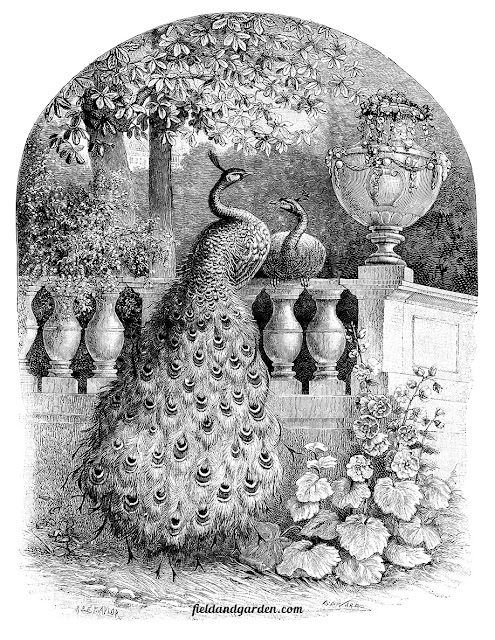 Antique engraving originally published in 1893. This illustration shows a pair of peafowl (a male peacock with magnificent tail feathers and a female peahen) perched on the balustrade in a formal English garden, flanked by a grand ornamental urn, lush trees, foliage and flowers. 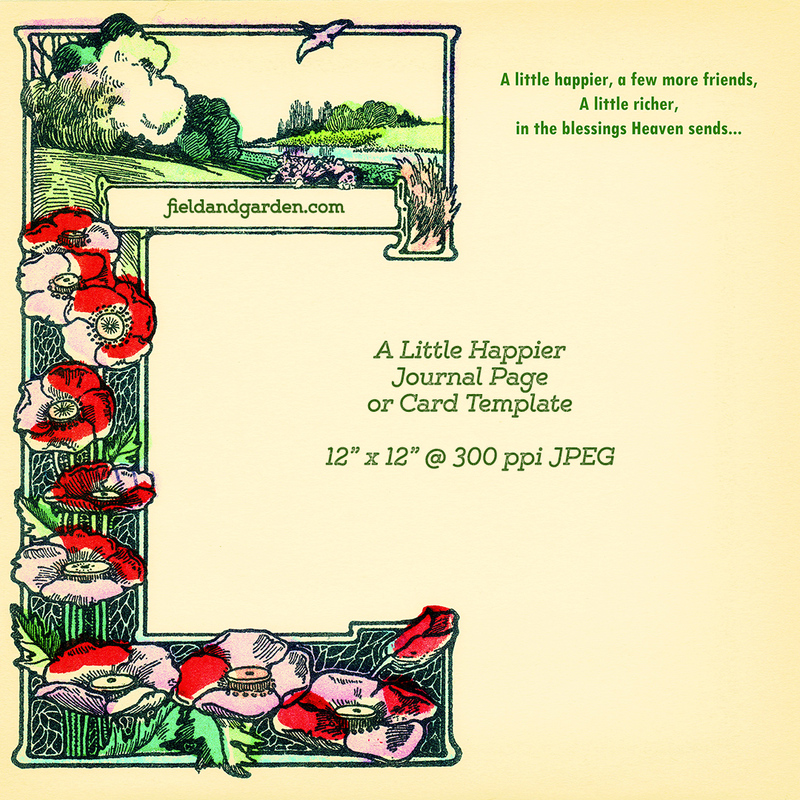 You can download the free high-res 8.5" x 11" @ 300 ppi JPEG without a watermark for crafts, journals, scrapbooks, wedding invitations and all kinds of other design projects here. 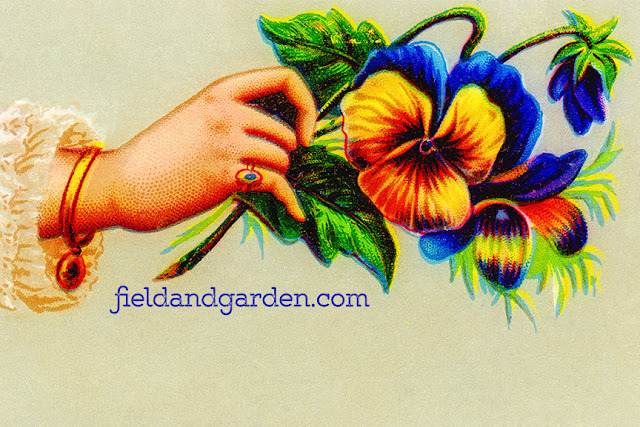 All digital scans by FieldandGarden.com are licensed under a Creative Commons Attribution 4.0 International License. 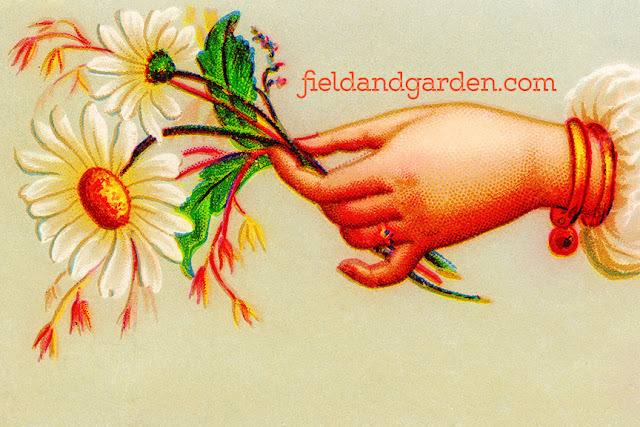 Please cite FieldandGarden.com as your source when using this work and/or provide a link back to this page. More detailed ToU can be found here. 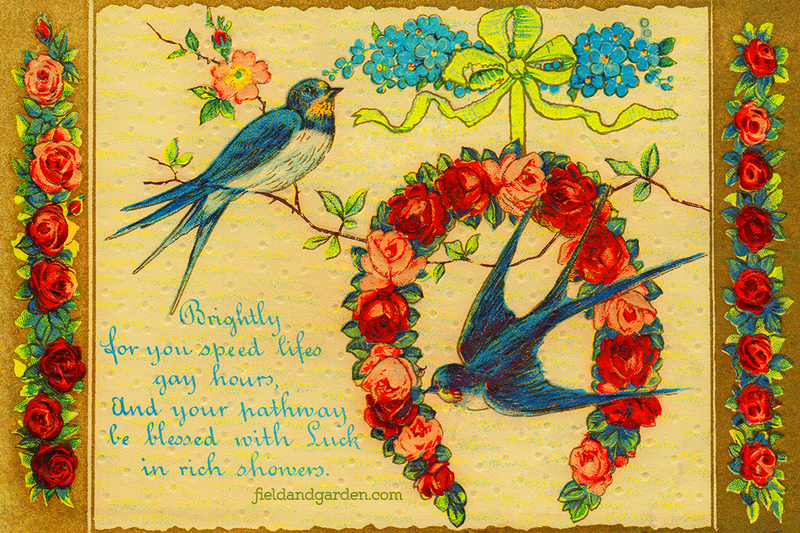 And your pathway be blessed with Luck in rich showers." Both the left and right borders of the card have brightly-coloured roses on a gold background. To download the high-res 5" x 7.5" @ 300 ppi JPEG without a watermark, please click here. Great for sending to a friend or loved one but can also be used in scrapbooking or other graphic design projects.